Homeowners across the country ponder this question each year when temperatures start dropping and it's time to turn on the heat. Answering the question, however, is not as simple as citing one specific temperature, especially as financial and energy usage concerns differ from one family and home to the next. If someone is at home in the daytime, 72° F (22° C) is a good start, but aim for 68° F (20° C). If everyone is away from home in the daytime, or you're asleep at night, we feel 66° F (19° C) to 62° F (17° C) is best. But instead of focusing a perfect number, you will benefit from establishing an energy-efficient winter heating strategy that will keep your home warm and your thermostat settings reasonable so you won't face large energy bills. Here are a few tips. This one-degree reduction - maintained for even eight hours - can reduce a home's energy bill by 1 percent, according to the U.S. Department of Energy. Lowering the temperature further and preserving these lower temperatures for longer periods of time increases those savings, and you'll probably never notice the difference with such a slow, gradual change. A smart thermostat provides the most practical impact on energy usage, especially during extreme temperatures. 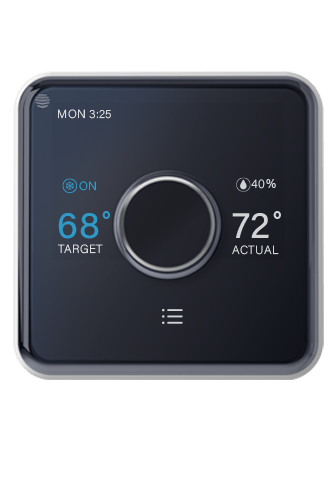 Simple and easy to use, the Hive Active Thermostat allows you to remotely switch your cooling and heating on and off, up or down and set temperatures as well as customize schedules and more. With the ability to adjust your temperature from a smartphone, you always come back to a welcoming home. Shop for a great electricity rate to ensure you're not paying more than you need to for your power. 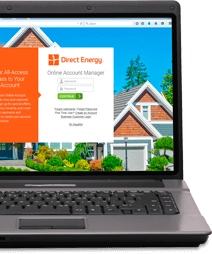 Direct Energy has options to help you make the most of your energy dollar. Schedule an annual furnace maintenance and inspection. Want to save even more? Sign up for an electricity plan with Direct Energy and you'll get the tools you need to track your usage and stay energy efficient.